No guarantees or warranties are made regarding any of the information contained within this web site. This web site is not intended to offer specific medical, dental or surgical advice to anyone. 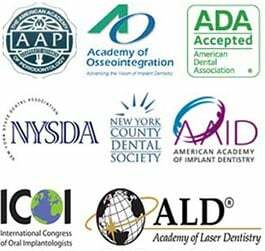 Further, this web site and Manhattan Periodontics and Implant Dentistry take no responsibility for web sites hyper-linked to this site and such hyper-linking does not imply any relationships or endorsements of the linked sites.